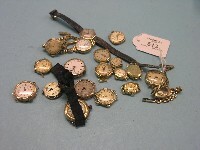 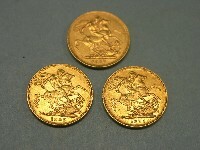 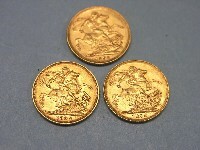 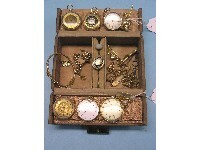 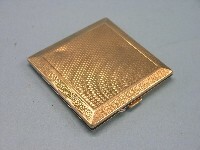 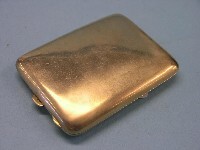 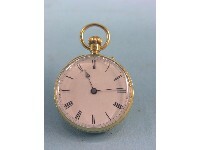 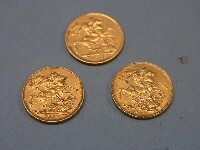 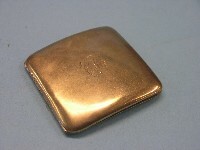 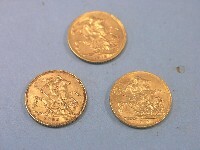 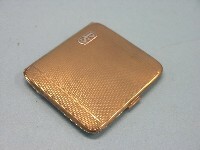 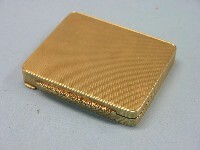 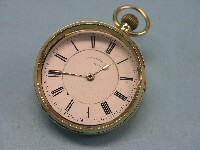 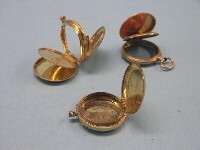 A small jewellery box containing six gold-yellow metal pocket watches, an 18ct. 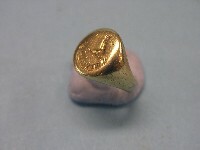 gold signet ring, engraved platinum wedding ring, 9ct. 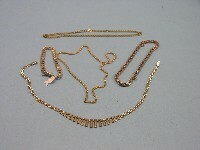 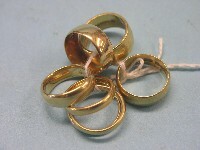 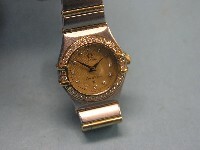 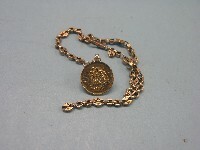 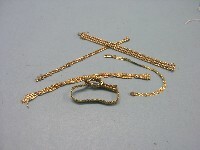 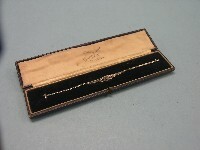 gold bracelet, 9ct. 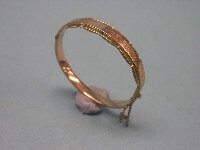 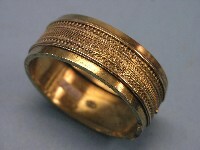 gold bangle, 15ct. 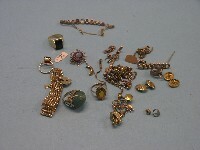 gold bar brooch, bar brooch set seed pearls and turquoises, etc. 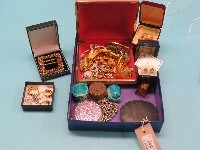 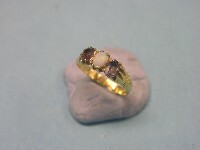 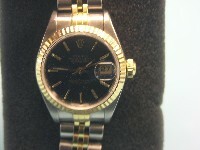 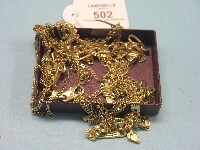 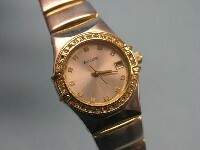 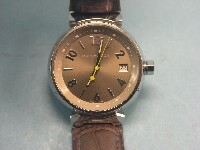 Gold jewellery, rings, gate-link bracelet, pendants and brooches, cuff-links, etc. 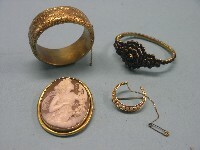 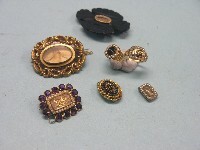 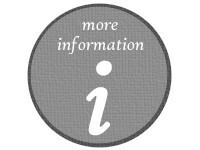 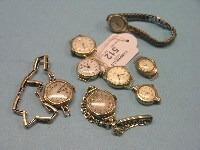 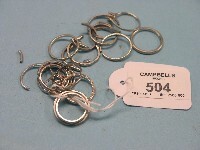 A quantity of silver and marcasite jewellery, bracelets, bangles, brooches, etc. 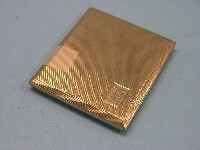 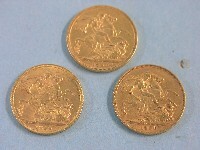 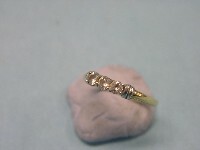 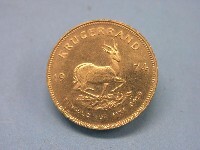 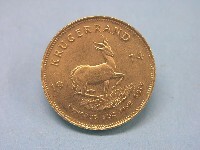 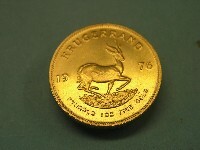 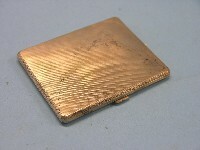 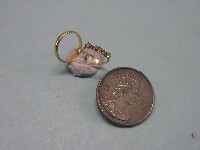 A small 18ct. 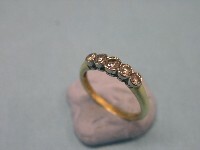 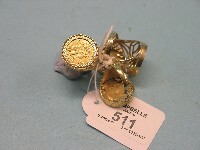 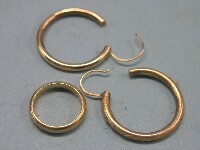 gold and diamond half-hoop ring, a marcasite pendant, modern pair of Feng Shui diamond ear-rings, costume jewellery, etc.